New Indian Express – CHENNAI: Riding on G Trisha’s 53 South Zone defeated Central Zone by 46 runs in the BCCI inter-zonal U-19 cricket tournament for girls. 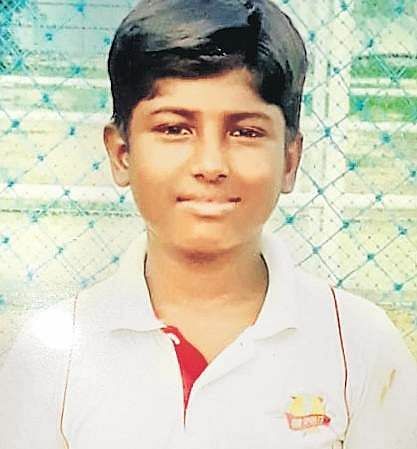 Chennai Public School bag title Medium pacer B Kishan 4 for 20 and S Sriman’s 3 for 12 paved the way for Chennai Public School (Thirumazhisai) to beat Ever Win Vidyashram HSS by seven wickets in the final of the Sacred Heart’s U-14 round robin league tournament played at Reddy MN Greens grounds. Brief scores: (Final): Ever Win Vidyashram 80 in 27.3 ovs (Indira Danush 31, B Kishan 4/20, S Sriman 3/12) lost to Chennai Public School 81/3 in 15.1 ovs ( B Hemanath 36). Awards: Man of the Final: B Kishan; Man of the series: S Sriman; Best Batsman: B Hemanath; Best Bowler: Elancharal; Best all-rounder: S Sriman. Iyyappan shines B Iyyappan of Mayiladudhurai defeated S Karthik Raja of Red Rose 16-21, 21-14, 21-19 in the boys sub-junior final of the Velammal- 43rd state junior and sub-junior tennikoit championship, held at Velammal New Gen school, Medavakkam. Results: (all finals): Boys: Sub-junior: B Iyyappan (Mayiladudhurai) bt S Karthik Raja (Red Rose) 16-21, 21-14, 21-19.